Here’s a summary of activity for the week ending September 23rd, 2018. 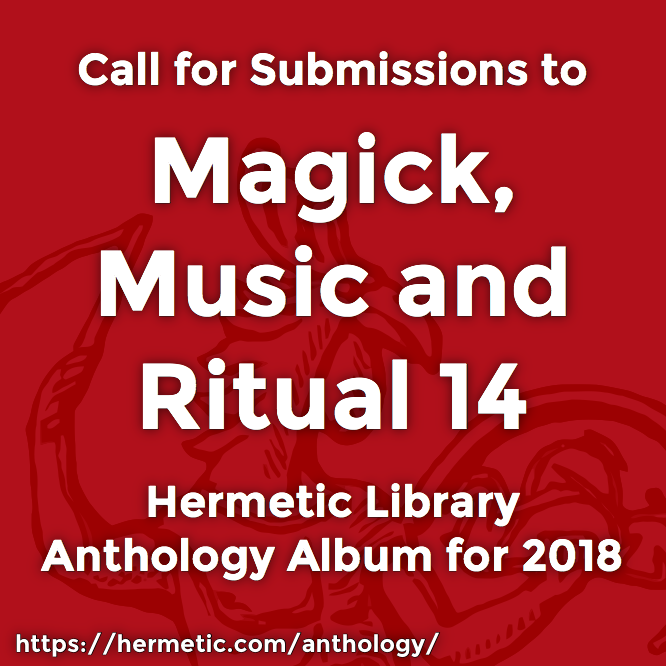 This is the last week, the last few days, before the rapidly approaching September 30th deadline for the call for submissions to Hermetic Library’s anthology album for 2018, Magick, Music and Ritual 14! If you were waiting, now’s the time to send those in! Really, this time in the process is always so stressful, as I never know if things will come together until they do, usually at the last minute. But, there’s less than a month left. Only a couple weeks. Now’s the time to get on it! This entry was posted in The Hermetic Library and tagged hermetic library, summary, summary of the week on September 25, 2018 by John Griogair Bell.